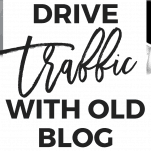 Old blog posts can be GREAT sources of blog traffic for your site. And the more posts you have in your archives, the more potential you have to drive traffic! 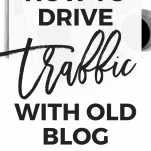 If you’re not sure how to use those posts to start driving traffic, just make these few simple tweaks to your blogging strategy. 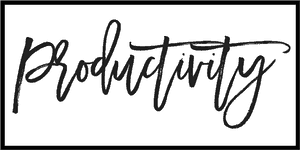 Before you dive in, make sure to sign up for my free challenge to help you take your blog from a hobby to profitable side hustle! The longer you blog, the better your writing becomes. That means that your older blog posts probably could use a lot of improvements (I know that was the case for me)! 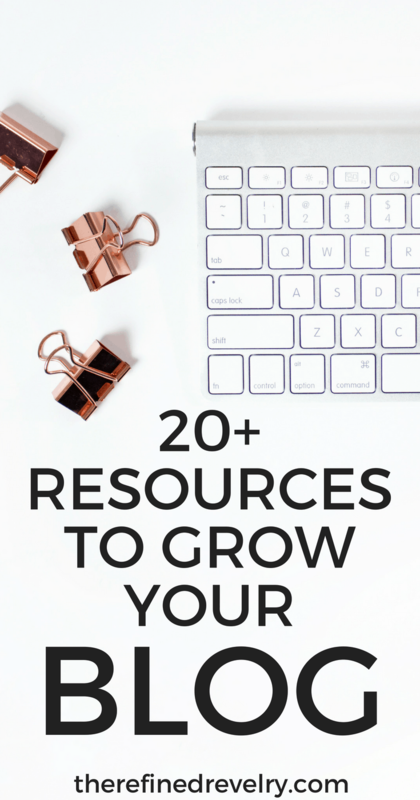 Blogging is a super time-consuming side-hustle, and I’m sure the idea of regularly updating old blog posts in addition to writing new ones seems overwhelming, but it definitely doesn’t have to be! It will be a lot of work when you first start because you’ll want to update all of your old posts, but set a goal for yourself of how many you’ll update each day or week (depending on how much free time you have), and eventually you’ll work your way through the list. One of the most important pieces for me has been updating the images in my old posts to make them more shareable on social media. Images: Do you have high-quality images to share your post on social media? Make sure at least one of your images is vertical for sharing on Pinterest. 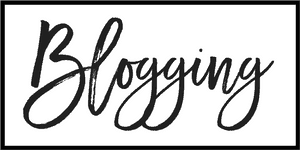 Content: Your writing has probably gotten better since you started blogging, so update your content to reflect that! 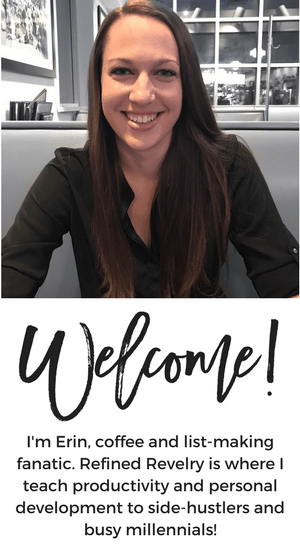 SEO: When I first started, I had NO idea what SEO was. I went back and added SEO to old posts to make sure more people could find them. Call to Action: What do you want people to do after reading your blog post? Leave a comment? Share on social media? Sign up for your email list? TELL them! 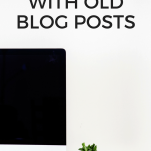 You shouldn’t only be sharing your new blog posts on social media, but your old posts as well! My most popular posts, even those that get the most traffic today, aren’t new posts but old ones. Those posts help me to drive a lot of blog traffic. I’m very aware of what my most popular posts are, and I’m sure to regularly share those on my social media pages. Because most of your social media followers aren’t seeing all of your posts, your followers won’t see the same posts popping up in their news feed again and again. Every new blog post you write is also a great opportunity to promote older blog posts. You can do this by linking back to them within your post. Each time I touch on a topic that is relevant to something I’ve written about before, I am sure to link back to that old post. It’s also valuable to know which of your posts are either most popular or best monetized because those are posts you’ll want to be especially sure to link back to. Even though the followers on your email list are likely your most loyal readers, it’s still unlikely that those subscribers have read every one of your old blog posts. But it’s also likely that they would want to read them! I like to send my email subscribers a variety of content, and occasionally I like to send the content from an old blog post, always linking back to the original post so they can check it out. I especially like to do this when I have an old blog post that is highly relevant to the new content I have shared on my blog that week. Outside of sharing with your email list, there are other ways to repurpose old blog content and continue to link back. When I was writing my eBook, Streamline Your Side-Hustle, a lot of posts I had previously published on my blog were extremely relevant to the information I was sharing in the book. In these cases, I repurposed the content as parts of eBook chapters and linked back to the original posts so those purchasing my eBook could become more familiar with my blog. If you have a podcast or a YouTube channel, these would be other great places to purpose old blog posts. 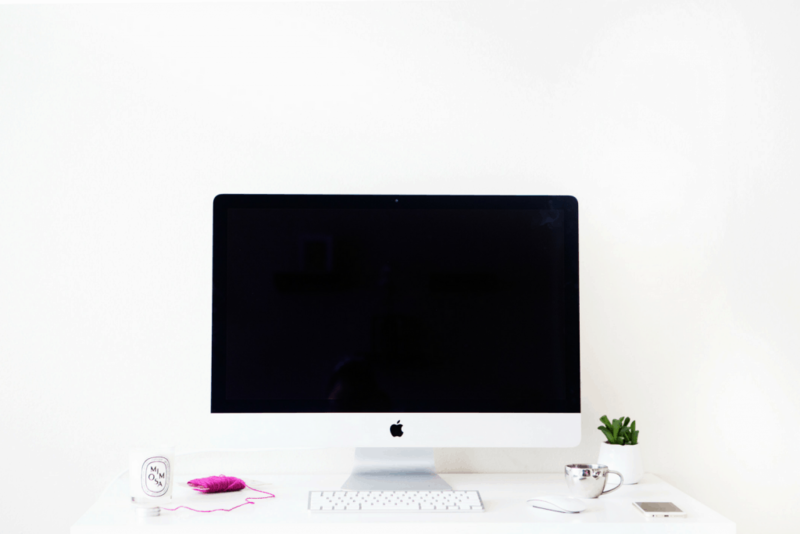 Don’t forget to sign up for my FREE 5-Day blog challenge where I teach you how to grow your blog from hobby to side hustle! Great tips! I’ve found that many of my consistently popular posts are ones I wrote over a year ago. So in those old posts I try to include links to newer posts. So far that seems to be working for me. Such good tips!! I have loved scheduling those old rediscovered posts on Twitter! 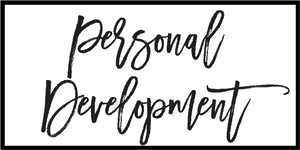 I just updated a lot of my old posts during my blog revamp! Also just this week I updated an old popular post and republished it, since it had new content on it. I think that’s good so people see it’s a newer post even though you just repurposed it!